Dental veneers offer one of the best cosmetic dentistry options for people wanting whiter teeth than bleaching can achieve or who want to camouflage spaces between “gappy” teeth and/or overcrowded teeth. A veneer is a thin covering of porcelain or composite plastic, which fits over the surface of your tooth and is glued to it. Porcelain veneers last for around 10 - 15 years while plastic veneers usually last around 5 - 7 years. Not all dentists specialise in cosmetic dentistry, so it is important to find a dental practice that does a lot of cosmetic dental work including dental veneers. Porcelain veneers can cost from around £300 to £1,500 per tooth depending on the type used. 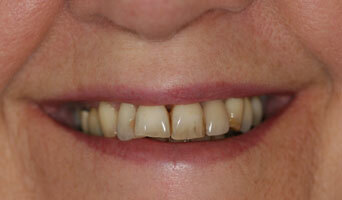 Plastic veneers are less expensive, usually starting at around £150. Veneers offer one of the best cosmetic dentistry options for people wanting whiter teeth than bleaching can achieve or who want to camouflage spaces between “gappy” teeth and/or overcrowded teeth. Veneers also reflect light and their surfaces are like the natural enamel of your teeth. However, unlike bleaching, having veneers on your teeth is a permanent treatment, as they need to be replaced after regular periods. A veneer is a thin covering of porcelain or composite plastic, which fits over the surface of your tooth and is glued to it. Composite veneers can be made in the dental surgery making the process a one visit to the dentist treatment only. They can be colour matched directly in your mouth where colour is a problem, or they can be shaped to suit your teeth, and how you would like to look, more easily. Their disadvantage is that they wear more easily than porcelain and tend to stain slightly more easily and so usually require "touching up" from time to time. If you are considering cosmetic dentistry with veneers, the following information will give you a basic understanding of the procedures. It can't answer all your questions, since a lot depends on the individual patient and the dentist. Please ask your dentist about anything you don't understand. 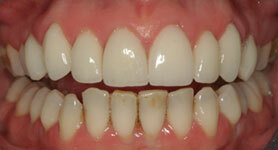 How are Veneers applied to your teeth? After assessing your suitability for veneers, your dentist removes the surface layer of enamel from the tooth. This is carried out under local anaesthetic to reduce discomfort. For porcelain veneers, an accurate impression of your teeth is taken, and a careful description of the desired colour of your teeth is noted to ensure a perfect match. Typically, it takes one to two weeks to make your new porcelain veneers, so sometimes temporary veneers are put in place before you leave. In some cases, veneers are made very thin, and they are quite see-through. In this way, veneers can be used to pick up some of the underlying colour of the tooth. Hence, the veneers and your teeth will then be a similar colour. In other cases where there are deep stains or colours on the teeth, it is very important to cut enough tooth away to allow a thick enough layer of porcelain to be stuck on which will then mask these stains or discolourations. 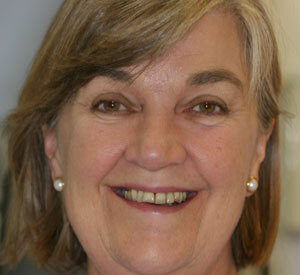 At the next visit to the dentist, any temporary veneers are removed and your new veneers are fitted and polished. Special light-cured glues are used to ensure trouble-free and long-lasting results. 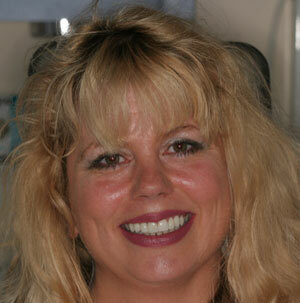 Porcelain veneers last for around 10 - 15 years. Plastic Veneers usually last around 5 - 7 years. Who can perform Dental Veneers? What is the average cost of Dental Veneers? Porcelain veneers can cost from around £300 to £1,500 per tooth depending on the type used. 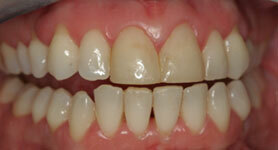 Plastic veneers are less expensive, usually starting at around £150. A dental veneer is a thin covering of porcelain or composite plastic, which fits over the surface of your tooth and is glued to it. Veneers offer one of the best cosmetic dentistry options for people wanting whiter teeth than bleaching can achieve or who want to camouflage spaces between “gappy” teeth and/or overcrowded teeth. Patient's teeth were dark, stained and worn. 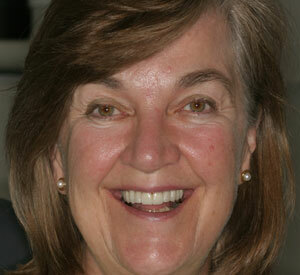 The smile was very narrow with dark spaces in the corners of her mouth. 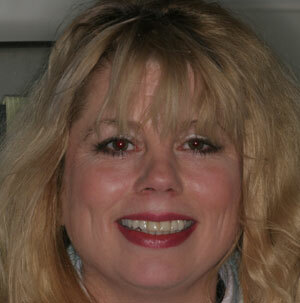 The dentist used 10 porcelain veneers to complete this smile makeover. They chose a light shade without going too white to keep the result looking natural. They have added a slightly warmer colour near the gum line to complement this. Patient's front teeth were too bulky and prominent. 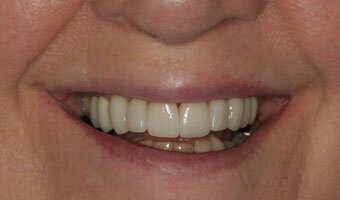 The dentist created a new smile with 10 porcelain veneers that have been designed to make her face appear longer. Click for ALL Dental Veneers (Teeth) clinics in the UK & Ireland registered and verified by Consulting Room.